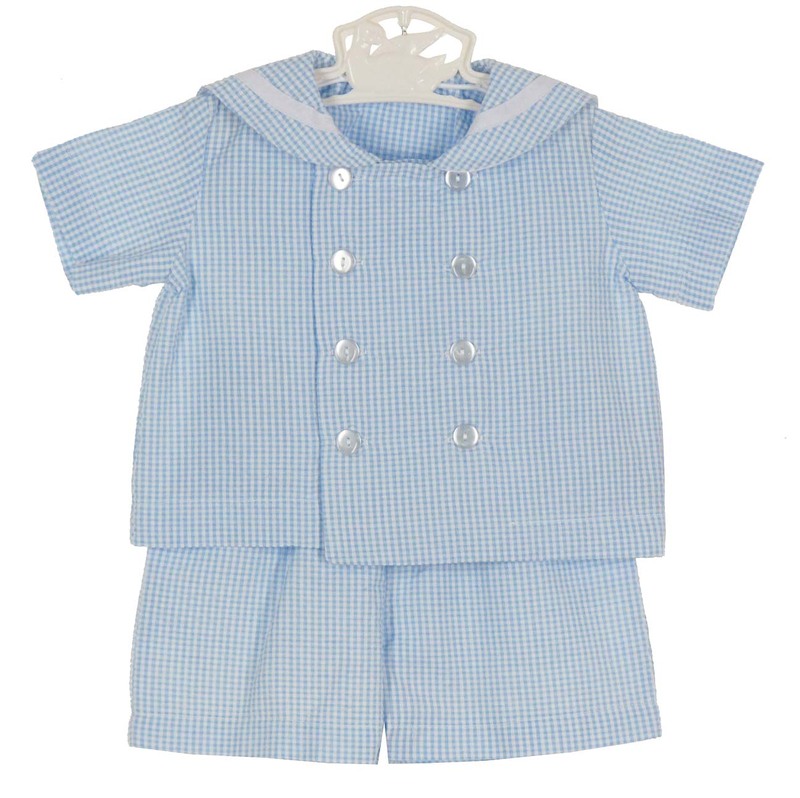 This darling blue and white checked cotton blend seersucker sailor suit is made by Funtasia, a leading manufacturer of classic children's clothing. 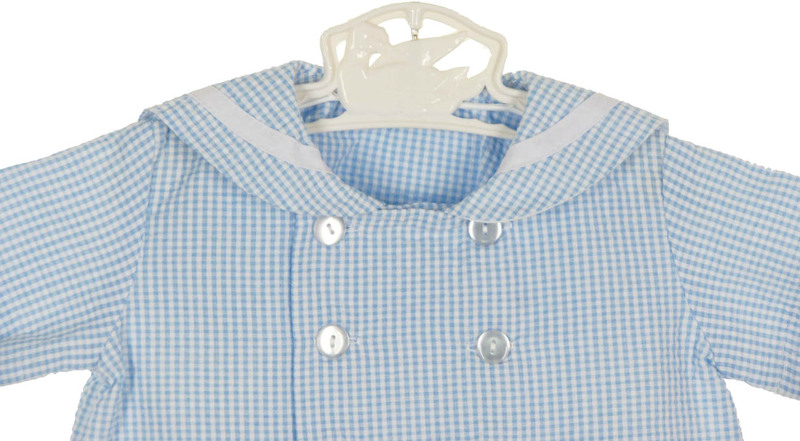 The double breasted shirt has short straight sleeves and a traditional square sailor collar trimmed with white. The shorts have an elasticized waist for flexible fit. Note: Coordinating girls seersucker dress is also available. See below.